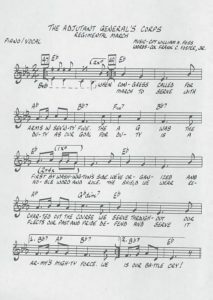 December 29, 2018 by Robert Ortiz-Abreu, Jr. The 18th Personnel Group deployed in support of Operations Desert Shield and Desert Storm under austere conditions, but with Soldier ingenuity, personnel operations consistently improved. Fate has a way of throwing you a curve ball when you least expect it and perhaps when you are the least able to react quickly enough. So it was in August 1990 as I unpacked boxes in my newly assigned quarters on Pelham Road, Fort Bragg, NC, in preparation to become the next Adjutant General of the 18th Airborne Corps and the first Commander of the 18th Personnel Group, a new structure being fielded in 1990. Little did I know that the next day, while continuing to unpack boxes, I would receive a telephone call from the Corps Operations Center asking me to report to the headquarters immediately to meet with the leadership team of the Corps. I would not return to live in my quarters until May of the next year, as we were quarantined, briefed, and began immediate preparation for deployment to Saudi Arabia to begin Operation Desert Shield and subsequently Operation Desert Storm in January 1991. Kuwait had been invaded by Iraq, and the 18th Airborne Corps was going to make the Iraqi army go back home. Fate had struck again and this time I felt particularly unprepared. 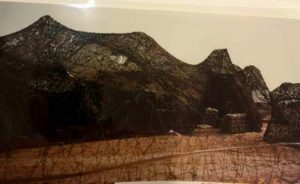 I had not even been to my office, I knew only a few of the assigned Officers and NCOs of the AG office in the Corps, and I was completely unprepared for the firestorm of activity with which I was about to embark. I was immediately plunged into the most stressful and action packed preparation I had ever witnessed and quite literally felt like a cork floating on a fast running river, which I had absolutely no control over and knew nothing of where the river was taking me. 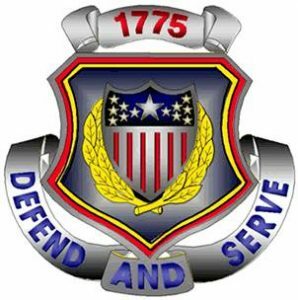 I had arrived at Fort Bragg ready to transition the Corps AG Office to the 18th Personnel Group for which I had been selected as the first Commander of that Group, which was to stand up sometime between October 1990 and January 1991. I next remember sitting on a 747 jet headed for Saudi Arabia with the advanced party of the Corps, a group of superb Officers and NCOs who would together begin the next 6 months of round the clock preparation to plan, receive, and set up a deployed Airborne Corps on the sands of Saudi Arabia, an absolute Human Resources (HR) nightmare of planning, coordination, and execution. Since 1776, the American Army ran on paperwork – forms starting with the unit morning report of who was present, to who was sick, and where all units were stationed. Nothing really changed in the Army from 1776 to 1980 in regards to paperwork! We still shuffled paper to accomplish most anything. When the 18th Corps deployed in August 1991, we had no internet, no laptop computers, no i-Phones, no wi-fi, no Facebook, no Twitter, and perhaps biggest of all, NO E-MAIL! We had CNN on TV if we were lucky and telephone lines. The Army Personnel Community had been planning for automation for almost 20 years, but everything was bulky, cumbersome, and had to be tied together by phone lines. The TACCS box alone, the Army’s basic automation device, was the size of two-foot lockers and took two Soldiers to load and unload from any vehicle. 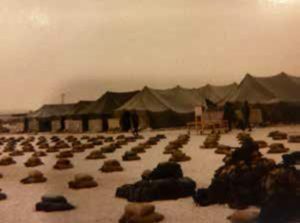 When we began leaving Fort Bragg on 10 August 1991, we were unplugged from the Army personnel system, SIDPERS, and had only the database we had taken with us into Saudi Arabia. We had about a dozen TACCS boxes, each supporting about 500 troops, and absolutely no electronic connection with the Department of the Army, except over long distance phone lines. I was convinced that I was about to become the first Commander of the 18th Personnel Group, but also the first Commander to be relieved when I could not even tell the Corps Commander how many troops we had in country on any given day! Lest I forget, it was not only those of us at Fort Bragg who were putting in 24 hour days, as all HR professionals in the Army were working overtime to help the effort. The DCSPER mobilized every personnel asset he could to help support the coming battle. Korea, Europe, and the Reserve components, and the Commandant of the AG School ramped up to support the effort with deployed units, deployed individual fillers and replacements, and the DCSPER himself, called me several times to ask what I needed and how they could support. It was a model of cooperation among personnel support agencies. 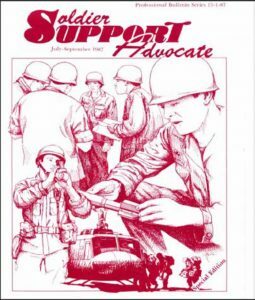 Pulling on the basics of Personnel Doctrine, we knew we had four core competencies and seven functions we had to be prepared to accomplish while protecting, sustaining, and taking care of the Soldiers assigned to us to do the personnel mission. I soon learned that giving only mission-style orders, and allowing individual ingenuity and innovation to run wild among the Company Grade Officers and NCOs was the only way to succeed in this environment. You just had to trust your subordinates until or unless they proved unworthy. For this web article, I will concentrate on the four most demanding tasks we had to overcome while trying to support a deployed and growing Corps: Organization, Automation, Mail, and Logistics. The 18th Personnel Group with personnel assets spread across the XVIII Airborne Corps Support Command in Saudi Arabia faced daunting challenges to construct a new Group structure in theater. Automation – we had some. We had 12 TACCS boxes loaded with the basics of the Corps Headquarters. But we needed a huge database, which we did not have, nor did we have the capability to store a huge database. Once again the American Army NCO stood up to the challenge. The head of my SIDPERS section politely asked me to go get some coffee while they pondered the situation and came up with a proposal to solve the problem. Their solution was absolutely brilliant. They coined the phrase “Five Digit Midget” or “FDM.” The FDM was a way of changing the coding in the TACCS box to hold only five pieces of critical information on each Soldier in the Corps – Name, Rank, SSN, MOS and Unit of Assignment. These were the basic elements needed to report strength accounting, location, casualty and units. It also allowed the section to dump thousands of pieces of information currently stored in the TACCS boxes allowing much more room in the database. By linking the TACCS boxes together in tandem much like a string of Christmas tree lights, they were able to use these same TACCS boxes to upload an entire Corps strength. This required placing HR Soldiers at every incoming air and sea terminal to collect manifests as units landed and to deploy LNO teams to each hospital and aid station to collect casualty data. All of this was made possible by the DCSPER and MILPERCEN who sent us NCO fillers from Korea. Meanwhile, and largely unknown to us, the DCSPER was pulling out all the stops to buy and deploy laptop commuters to theater as quickly as possible to give us a database capability. These laptops would eventually begin arriving to our area in December 1990 to January 1991. But in the meantime, the brilliant database built by the NCOs of the 18th Personnel Group and the 18th P&A Battalion stood the tests of time. Mail – yes, we had mail. Perhaps our biggest challenge was the U.S. Mail! Even in 1991, the Soldier still penned hand written letters and dropped them into the U.S. Mail to loved ones back in the states. There was no e-mail, no text messages, no Facebook, no Twitter and lastly few phones to call home. Perhaps even worse, stamps in 1991 were of the lick ’em, stick-em type which would quickly become a mass of glued paper in the Soldier’s sweaty pocket in Saudi Arabia. The DCSPER helped us out with that by getting Congress to pass free mail. The 18th Personnel Group did have one Postal Company, but just one Company, of 50 Soldiers, to support an entire deployed Corps! It soon became apparent that this would become the monster under the bed! It took action by all levels of leadership to mobilize people, equipment, and storage for the tons of mail that arrived everyday into the theater. Postal personnel and unit assets alone would account for almost 35% of the Group by the time the deployment came to an end. The 18th Personnel Group quickly became the largest deployed Personnel Brigade in history since WWII. When over 1,700 replacements began filing into the Corps, through the Replacement Detachment, the 18th Personnel Group actually became the largest unit in the Corps rear detachment. We fed, housed, and supplied newly arriving troops. The Reserve component quickly became the savior to the Corps as it sent Postal Companies, fillers, Mess Teams, U.S. Postal employees and sorting equipment into the Group. The 18th Personnel Group’s postal mission required many forklifts and huge storage areas just to place and sort the tons of mail received from the United States. Then fate struck again. A wonderful lady named Ms. Ann Landers decided to print a series of articles in every newspaper in the country telling Americans that Soldiers, particularly women Soldiers, needed personal sanitary toiletries and to send them addressed to Any Soldier, 18th Personnel Group, Saudi Arabia! Tractor trailers began delivering TONS of boxes to be distributed to Soldiers requiring forklifts and huge storage areas just to place and sort. Thank God, it does not rain often in Saudi Arabia, as all of these packages had to sit out in the weather until distributed. 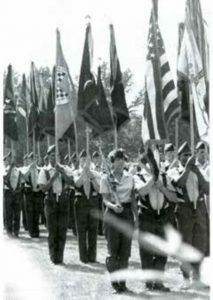 Logistics – the Group had little in the way of logistics personnel, vehicles, tentage, mess facilities, or even office basics such as tables and chairs. 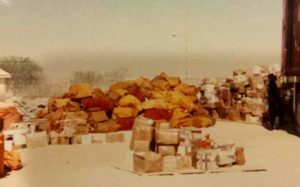 Thankfully, the DCSPER in conjunction with the DCSLOG and Fort Lee, started funneling supplies and logistics to the 18th Personnel Group as quickly as possible. But this required Officers to construct hand written property books and ways of tracking supplies and equipment. This challenge was with us every day until the end of the deployment and even had us setting up Arms Rooms and secure storage facilities for weapons that were funneled back to the 18th P&A Battalion Replacement Detachment from hospitals and aid stations that could not hold them while on the move. Remarkably, there were only two reports of survey needed at the end of the deployment to account for the few lost items during the entire operation. Desert Shield and Desert Storm was the first ever overseas deployment of an entire Army Corps in less than six months, many of the units taking their own equipment and many deploying without TOE equipment requiring Reserve component depot support from across the USA. Everyday felt like you were inside a blender being spun in 100 different directions at once. But incredibly, the Officers, NCOs, and Soldiers of America made it all happen. It was an honor to serve with every one of them. It’s amazing what you can accomplish when you unleash the potential and ingenuity of the American Soldier. December 24, 2018 December 15, 2018 by Robert Ortiz-Abreu, Jr. The Medal of Honor is the nation’s highest medal for valor in combat that can be awarded to members of the Armed Forces. The medal was first authorized in 1861 for Sailors and Marines, and the following year for Soldiers as well. Since then, more than 3,400 Medals of Honor have been awarded to members of all DoD services and the Coast Guard. Early in the Civil War, a medal for individual valor was proposed to General-in-Chief of the Army Winfield Scott. But General Scott felt medals smacked of European affectation and killed the idea. The medal found support in the Navy, however, where it was felt recognition of courage in strife was needed. So on December 9, 1861 Iowa Senator James W. Grimes introduced Public Resolution 82 in the United States Senate, a bill designed to “promote the efficiency of the Navy” by authorizing the production and distribution of “medals of honor.” On December 21st the bill was passed, authorizing 200 such medals be produced, “which shall be bestowed upon such Petty Officers, Seamen, Landsmen and Marines as shall distinguish themselves by their gallantry in action and other seamanlike qualities during the present war (Civil War).” President Lincoln signed the bill and the (Navy) Medal of Honor was born. Shortly afterwards, a resolution similar in wording was introduced on behalf of the Army and signed into law on July 12, 1862. 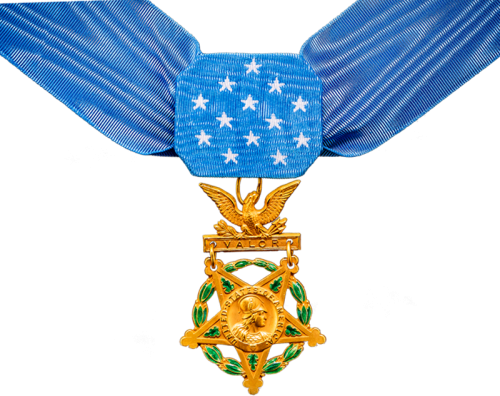 The measure provided for awarding a medal of honor, “to such Noncommissioned Officers and Privates as shall most distinguish themselves by their gallantry in action, and other Soldier like qualities, during the present insurrection (Civil War).” Although it was created for the Civil War, Congress made the Medal of Honor a permanent decoration in 1863. 58 AG Corps Soldiers have been awarded the Medal of Honor. This includes 18 Adjutants and 40 Musicians. 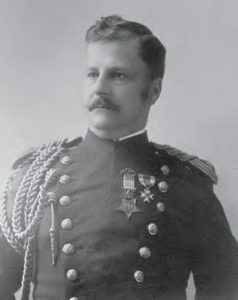 The first AG Corps Medal of Honor awarded was to George H. Palmer on 20 September 1861. 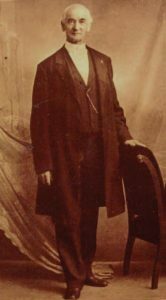 George Palmer volunteered to fight in the trenches at Lexington, MO during the Civil War and led a charge which resulted in the recapture of a Union hospital, together with Confederate sharpshooters then occupying the same. 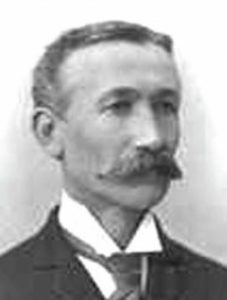 The most recent AG Corps Medal of Honor recipient was Calvin P. Titus for actions in Peking, China on 14 August 1900. 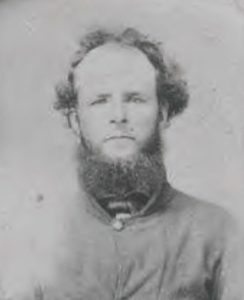 Calvin Titus executed gallant and daring conduct in the presence of his Colonel, other Officers and Enlisted men of his regiment and was the first to scale the wall of the city in an assault. 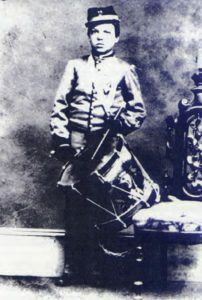 The youngest AG Corps Medal of Honor recipient was Willie Johnston, a drummer, 12 years old. Willie Johnston’s service during the Union’s Seven Days retreat in the Peninsula Campaign was exemplary. 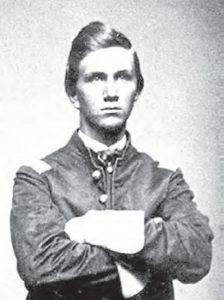 He was the only drummer in his division to come away with his instrument, during a general rout. His superiors considered this a meritorious feat, when fellow Soldiers had thrown away their guns. Although the Medal of Honor information collected from the Congressional Medal of Honor Society (website – http://www.cmohs.org/recipient-archive.php) for these AG Corps Soldiers varies from few details, to a full accounting of the Soldier’s bravery in combat, each Soldier earned the United States’ highest medal for valor in combat. They bring great credit and distinction to the AG Corps’ long and distinguished history since 1775. 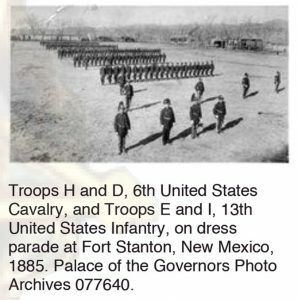 Citation: Obtained permission from the Corps Commander to advance upon the enemy’s position with the 4th U.S. Cavalry, of which he was a Lieutenant; led an attack upon a battery, dispersed the enemy, and captured the guns. At Selma, Alabama, charged at the head of his Regiment, into the second and last line of the enemy’s works. Citation: Voluntarily led troops in a charge over a burning bridge. Late in the afternoon of August 30, 1864, General Howard’s advancing Union Infantry camped about four miles from the Flint River in Georgia. 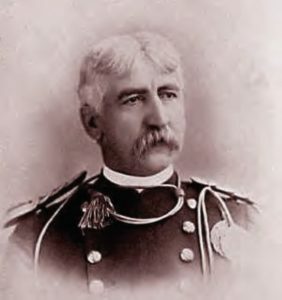 Without water for his exhausted troops, General Howard asked Captain Lewellyn Estes if he would take his Cavalry in an effort to get water from the river for the troops. 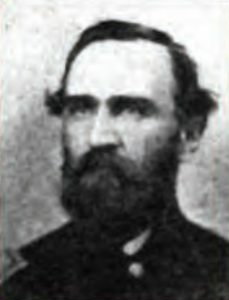 Valiantly, at the head of his command, Captain Estes led the 96th Illinois Cavalry on a charge against the Confederate barricade at the river. Within an hour his fierce charge, which had caught the rebels entirely by surprise, scattered the enemy force and sent them across the river. 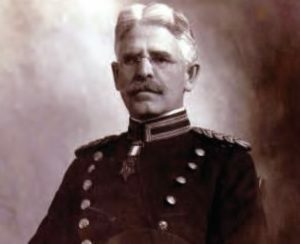 Returning to his command, and upon being congratulated by General Howard, Captain Estes asked, “Do you want me to take the bridge.” “Can you do it?” General Howard asked. Captain Estes replied that he could and, with the General’s permission, led two Regiments of dismounted cavalry back to the river. 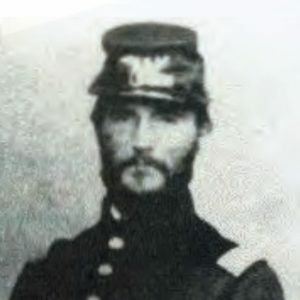 With two companies of the 10th Ohio, Captain Estes charged across the bridge to rout the enemy. 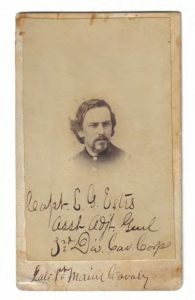 At the time of his charge the bridge was burning in several places, but armed only with a revolver, Captain Estes continued at the head of his men, crossing and driving the enemy back far enough for the rest of General Howard’s Army to also cross. 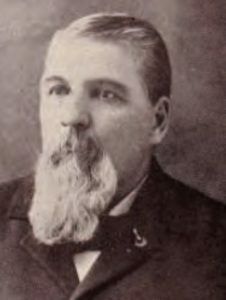 From The Papers of Andrew Johnson: April-August 1868: “Lewellyn G. Estes (1843-1905), a lumberman, earned the Medal of Honor while serving as a staff officer for General Judson Kilpatrick, and after the war was brevetted Brigadier General. 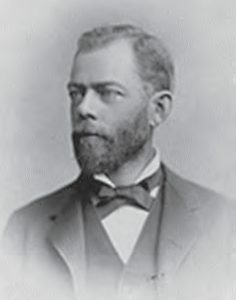 In April 1866 he became collector of internal revenue in the Second District of North Carolina, and many years later he occupied himself in Washington, D.C., primarily as a lawyer and druggist. Citation: Distinguished gallantry in encouraging those near him by his bravery and coolness after being shot through the head and entirely without sight. Citation: Gallantly led a party that assaulted and captured the fort. 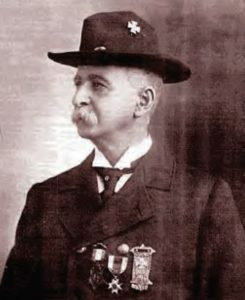 Citation: The division being hard pressed and falling back, this officer dismounted, gave his horse to a wounded officer, and thus enabled him to escape. Afterwards, on foot, Captain Weir rallied and took command of some stragglers and helped to repel the last charge of the enemy. Citation: Most distinguished gallantry in action with the Nez Perce Indians. Citation: Accompanied only by an orderly, outside the lines of the Army, he gallantly resisted an attack of 5 of Mosby’s cavalry, mortally wounded the leader of the party, seized his horse and pistols, wounded 3 more, and, though wounded himself, escaped. 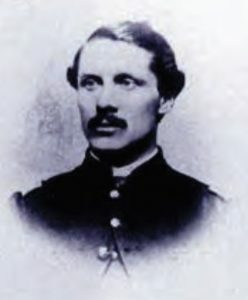 Citation: When, after desperate resistance, the small garrison had been driven back to the river by a vastly superior force, this officer, while a small force held back the enemy, personally fired the railroad bridge, and although wounded himself, assisted a wounded officer over the burning structure. Citation: Voluntarily remained with the body of his Regimental Commander under a heavy fire after the Brigade had retired and brought the body off the field. 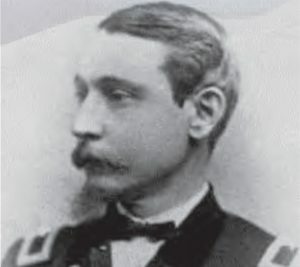 Citation: Voluntarily took command of the 9th Massachusetts while Adjutant, bravely fighting from 3 PM until dusk, rallying and re-forming the Regiment under fire; twice picked up the Regimental Flag, the color bearer having been shot down, and placed it in worthy hands. Citation: Advanced between the lines, demanded and received the surrender of the 19th Georgia Infantry and captured their battle flag. Citation: Having voluntarily taken command of his Regiment in the absence of its Commander, at great personal risk and with remarkable presence of mind and fertility of resource, led the command down an exceedingly precipitous embankment to the Rappahannock River and by his gallantry, coolness, and good judgment in the face of the enemy saved the command from capture or destruction. Citation: Bravery in action; was wounded in both arms. Citation: Stove off, single-handed, 8 hostile Indians, killing and wounding 5. 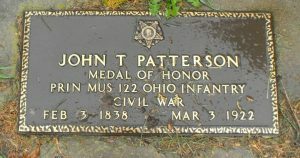 Citation: Patterson joined the Union Army in McConnelsville on August 22, 1862. 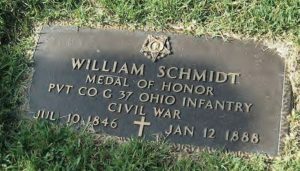 He joined Company C of the 122nd Ohio Infantry, which mustered in on October 2, 1862. He was promoted from Musician to Principal Musician on October 8 of that year. 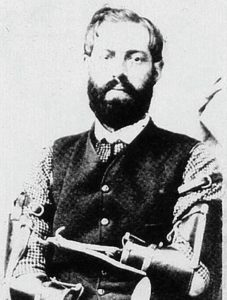 On June 14, 1863, Patterson was wounded during the Second Battle of Winchester while he was rescuing a fellow soldier. For his valor, he received the Medal of Honor. After rescuing his fellow soldier, Patterson was taken prisoner and held for a time at Belle Isle and Libby Prison. 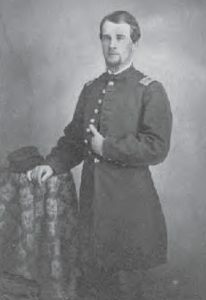 After being released he was present at the final Battle of Appomattox Court House, along with the rest of his regiment. 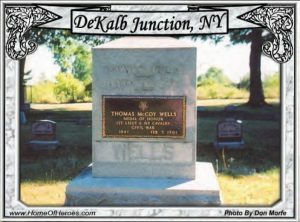 He was mustered out with his company on June 26, 1865. 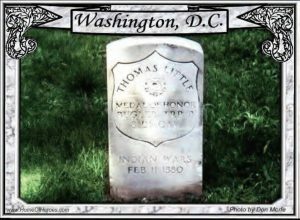 Citation: Rescued a wounded comrade under terrific fire. Citation: Was one of a party that volunteered and attempted to run the enemy’s batteries with a steam tug and 2 barges loaded with subsistence stores. Christian Seip and his wife Maria Elisabeth, my great-great-grandparents, both from Bavaria, Germany, came to Monroe County, Michigan in the mid- to late-1830s. They had a total of eight children during their marriage, but only three of these children survived into adulthood: Johann Peter Sype (1841-1912), Maria Elisabeth Sype (1845-1914), and John Christoph Sype (1854-1912). In 1860, Lincoln was elected president and around the time of his inauguration in 1861, several southern states seceded because they thought Lincoln’s election would force an end to slavery. Thus the “War of the Rebellion” was launched. 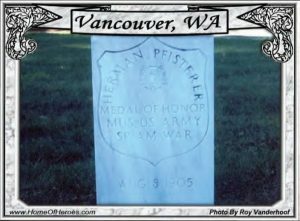 Johann Peter (my great-grandfather), who went by the name Peter Sype through his lifetime, like many young men, wanted the excitement and adventure that he thought serving in the war would bring. Family folklore indicates that he had originally enlisted in a Michigan unit and that his mother went to the Army leadership and took him out, since he was still officially a minor. 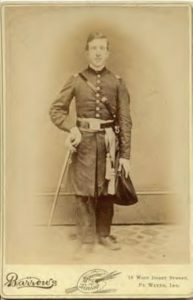 But Peter was not to be deterred from embarking on his military career and enlisted as a Private at Adrian on June 15, 1861. 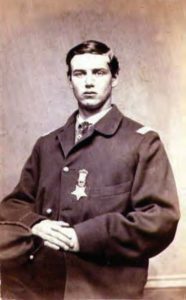 By the time he enlisted, Michigan had met its quota of Soldiers for the war and so the Adrian unit became part of the 47th Ohio Volunteer Infantry and became part of Company B. Company B saw service in Virginia and West Virginia before being sent to Mississippi to be a part of the attack on Vicksburg, Mississippi. Vicksburg was a key target because it was essential to the success of both the Confederacy and the Union. The union forces engaged in a long series of attacks with the goal of seizing control of the city from the rebels. 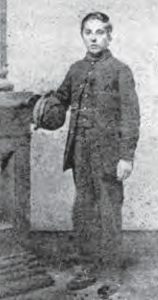 Peter Sype was part of a group of soldiers who volunteered to guard a shipment of goods that the Union attempted to run past the Confederate blockade at Vicksburg. This attempt was made on the moonlit night of May 3, 1863, and the Union forces were both shot at and shelled by the rebel forces. One of the shells made a direct hit on the steamship that was transporting the goods and the ship disappeared in a hail of steam and fire. Peter Sype had an opportunity to make it back to the Louisiana side of the river but gave up his spot on a plank of wood (a remnant of the steamship) to other Soldiers. Of the original group of 35 Soldiers guarding the ship, 16 were captured by the Confederates and held as prisoners of war, including Peter. Another four men made it back to the Union forces on the western side of the river. The rest perished in the fire and hail of bullets. 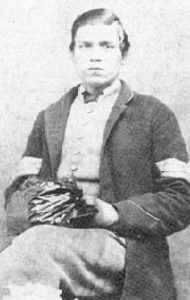 Peter and the other members of his unit who survived were nominated for the Medal of Honor for “gallantry in running the blockades at Vicksburg.” Peter Sype continued to serve with the 47th Ohio Infantry until June, 1864, when he was wounded near Kennesaw Mountain, Georgia. He was mustered out after he recovered from his wound. The picture that is attached is of him when he returned from the war. 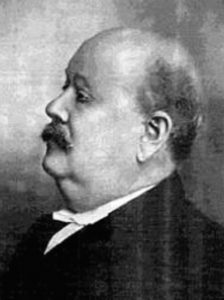 He married Marie Louise Doederlein in 1870 and they had 10 children, eight of whom survived to adulthood. Peter Sype is buried in Trinity Lutheran cemetery and his grave marker indicates he was a Medal of Honor recipient. He also is recognized on the new Civil War monument at Soldiers and Sailors Park on E. Front Street in Monroe. 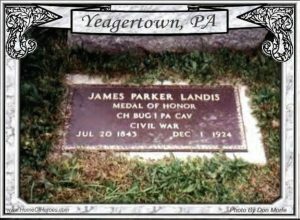 Citation: At a critical stage in the battle when the 14th Corps lines were wavering and in disorder he on his own initiative bugled “to the colors” amid the 18th U.S. Infantry who formed by him, and held the enemy. 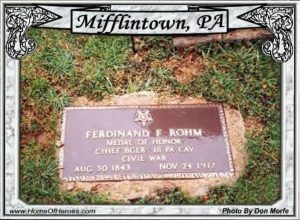 Within a few minutes he repeated his action amid the wavering 2d Ohio Infantry. This bugling deceived the enemy who believed reinforcements had arrived. Thus, they delayed their attack. Citation: Twice voluntarily rescued wounded comrades under fire of the enemy. Citation: Voluntarily took a rifle and served as a Soldier in the ranks during the first and second days of the battle. Voluntarily and at his own imminent peril went into the enemy’s lines at night and, under a sharp fire, rescued a wounded comrade. Citation: When men were needed to oppose a superior Confederate force he laid down his drum for a rifle and proceeded to the front of the skirmish line which was about 120 feet from the enemy. While on this volunteer mission and firing at the enemy he was hit in the head with a minie ball which passed through him. An order was given to “lay him in the shade; he won’t last long.” He recovered from this wound being left with an ugly scar. 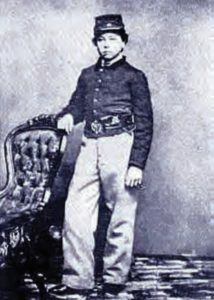 Citation: A drummer boy, 14 years of age, and severely wounded and exposed to a heavy fire from the enemy, he persistently remained upon the field of battle until he had reported to General W. T. Sherman the necessity of supplying cartridges for the use of troops under command of Colonel Malmborg. Citation: Date and place of act not on record in War Department. 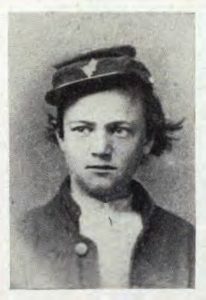 William “Willie” Johnston (born July 1850), from St. Johnsbury, Vermont, was a drummer boy in Company D of the 3rd Vermont Infantry. His service during the Seven Days retreat in the Peninsula Campaign was exemplary. 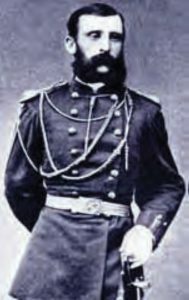 He was the only drummer in his Division to come away with his instrument, during a general rout. His superiors considered this a meritorious feat, when fellow Soldiers had thrown away their guns. 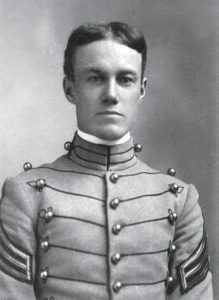 As a result, he received the Medal of Honor on the recommendation of his Division Commander, thereby becoming the youngest recipient of the military’s highest decoration at 13 years of age. 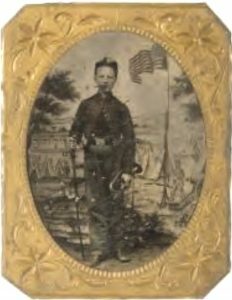 Citation: A drummer boy, 15 years of age, he voluntarily and under a heavy fire went to the aid of a wounded officer, procured medical assistance for him, and aided in carrying him to a place of safety. 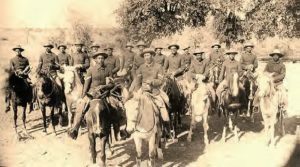 Citation: Being Orderly Sergeant to the Brigade Commander, he voluntarily led two Regiments as reinforcements into line of battle, where he had his horse shot from underneath him. Note – The First Sergeant was also known as the “Orderly Sergeant.” As the senior NCO in the Company he was responsible for a lot of Company paperwork and he was in charge of all the other NCOs. He would assign fatigue duty and punishments and was generally not very popular with the men. He would form up the Company and take the roll call and get it all in ranks and organized before turning the company over to the officer in command. During drill or in battle the First Sergeant was also the company’s Right Guide. In line of battle his post was on the right of the Company, in the rear rank, immediately behind the Captain who was in the front rank. 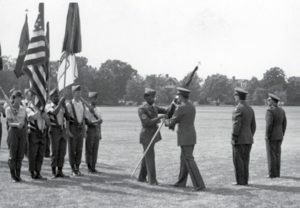 If the Battalion went into a column however, the Captain would have to step out in front of the middle of the Company so the First Sergeant would step up into the front rank “covering” the Captain, so the First Sergeant was also referred to as the “Covering Sergeant.” During certain maneuvers the First Sergeant would also have specific positions and responsibilities. Citation: Gallant and daring conduct in the presence of his Colonel and other Officers and Enlisted men of his Regiment; was first to scale the wall of the city. Citation: Voluntarily joined in a charge against the enemy, which was repulsed, and by his rapid firing in the face of the enemy enabled many of the wounded to return to the Federal lines. With others, held the advance of the enemy while temporary works were being constructed. took two guns into the Union lines. Citation: Crossed the creek under a terrific fire of musketry several times to assist in bringing off the wounded. 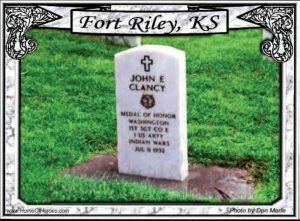 Citation: While his regiment was retiring under fire, he voluntarily remained behind to secure a wounded officer who was in great danger, secured assistance, and removed the officer to a place of safety. Citation: Bravery in scouts and actions against Indians. Citation: Gallantry in action. Claron Windus is the only Medal of Honor winner who shot and killed another Medal of Honor winner. 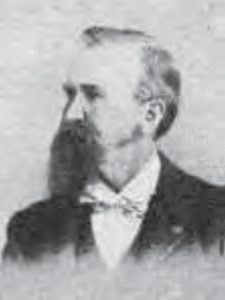 Claron “Gus” Windus was born in Janesville, Wisconsin in 1849. 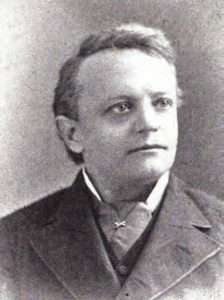 He was educated in the newly formed Janesville public schools. 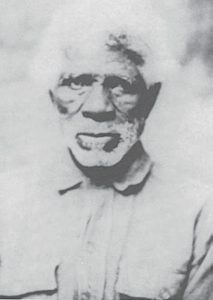 In 1864, at age 15, he ran away from home. 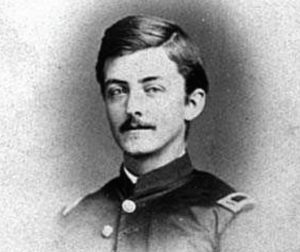 He was desperate to join the state volunteers, so he lied about his age and got into the Fifth Wisconsin Infantry as a drummer. He was itching for combat. His wish came true during the siege of Petersburg, Virginia, and he found it to his liking. After the war, he lied about his age again and joined the United States Army. 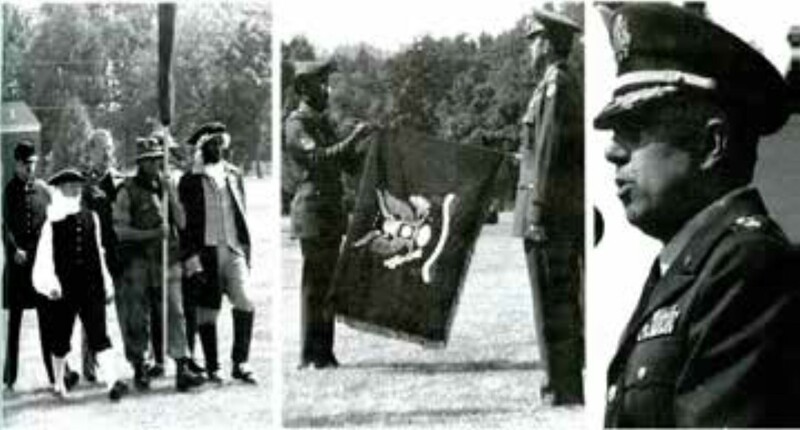 At the age of seventeen, Windus was sent to Texas as a bugler with Company L of the Sixth United States Cavalry. The hard and often monotonous life of frontier duty didn’t sit well with the teenager. 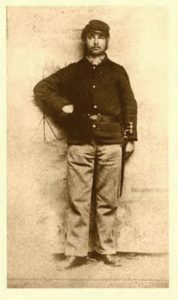 He was court-martialed in 1868 for desertion and theft. His punishment was twelve months hard labor. It straightened him out. Africans who joined the Seminole Indians in Florida in the 1700’s and 1800’s. 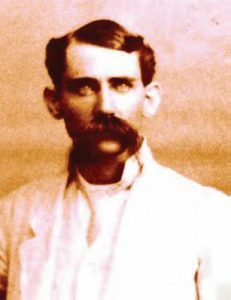 He was described by his commanding officer, Colonel Ranald S. Mackenzie, as having “more cool daring than any scout I have ever known.” In 1877, Claron Windus was the Deputy Sheriff of Brackettville, Texas – a small town near the Mexican border – and Adam Paine was a fugitive from the law. 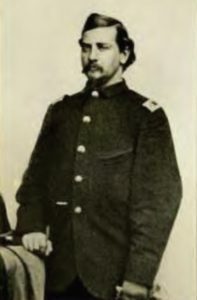 Paine was discharged from the Cavalry in 1875. He had spent the past year drifting back and forth across the border with a known cattle thief named Frank Enoch. Paine had reportedly stabbed and killed a white Soldier in Brownsville and now he had returned with Enoch and two other ex-scouts to celebrate New Year’s with their people, the Mascogo community of Brackettville. Windus got wind of the fugitive’s arrival and made plans to arrest them. Early on New Year’s morning, 1877, Windus and a small posse arrived at the Mascogo’s New Year’s celebration. Windus saw Paine, walked up to him, stuck a two barrelled shotgun in his belly and pulled the trigger. The ex-Buffalo Soldier was shot at such close range that his clothing caught fire. Windus then turned, pulled out a six shooter and shot Enoch. 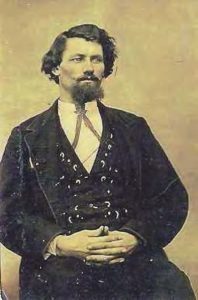 In the ensuing confusion, the other two men, Isaac Payne (another Medal of Honor winner) and Dallas Griner, leapt on nearby horses and fled to Mexico. They were later cleared of charges of horse theft and re-enlisted as scouts. Less than a month after Adam Paine’s death, Windus resigned as Deputy Sheriff in order to become Kinney County Assessor of Taxes. 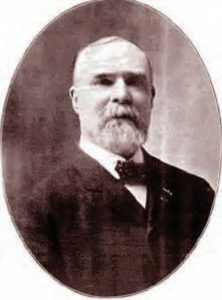 The next month he married Agnes Ballantyne and within a few years had become one of the largest landowners in the country by purchasing land sold at delinquent tax sales. 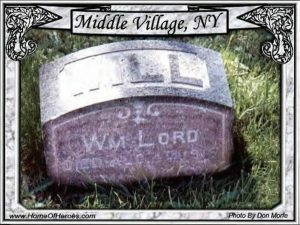 By 1897 he was so wealthy that his house was the first in Brackettville to have indoor plumbing. 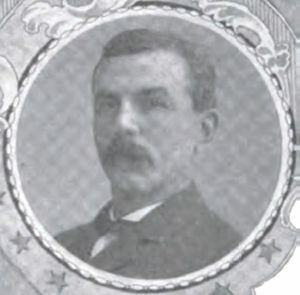 In 1898 he volunteered for the war in Cuba and spent a year there – his third, and final war. 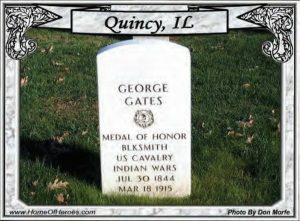 Claron Windus was born and raised a Wisconsinite, but he died a Texan… in 1927 in Brackettville – a town that has the unusual distinction of having the gravestones of five Congressional Medal of Honor winners. 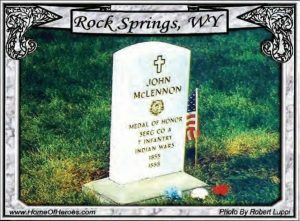 It is also the site of the only known killing of one Medal of Honor winner by another. Four of the five Medal of Honor recipients buried in Brackettville were Seminole Mascogo Indian Scouts: Adam Paine, Isaac Payne, John Ward and Pompey Factor. The fifth is Claron Windus.